I know I will be asked this as the revival of INNewsCenter approaches in November. Yet there are some things that will be different from the original version of INNewsCenter and what will be seen on the remake of INNewsCenter. Just to be clear that all of INNewsCenter’s Facebook, Twitter, and YouTube pages are going to remain the same as it was before I closed INNewsCenter in 2011. I will still be administrator of the INNewsCenter revival. First and foremost, do expect for certain clips (as was the case for Cheryl Parker’s final WXIN-TV newscast and the American Idol 9 finale which was never uploaded to INNewsCenter’s YouTube channel), often crossing over from another Aeverine Zinn Holdings site (usually Vote for the Girls or this web site you are viewing, AvaZinn.com) or come courtesy of the company providing the prize. Some such INNewsCenter clips will be female contestants (of which are supported by Vote for The Girls) and/or someone that I went to school with makes Indiana headlines and/or as was the case with the Ashley Rheam affair (which is covered on AvaZinn.com), especially for Issues related in the Marion, Mississinewa, and Eastbrook Community School Districts, and typically seen on the Ava Zinn You Tube Channel. Third, due to my commitments with Vote for the Girls (the American version since 2010, UK/British version since 2013, and soon add the Australian version come 2015), Housing Hell (coming in 2016), family obligations (with my daughters Samantha, Tiffani, Ashli, and Tabitha and to a similar extent, my cousins – notably my cousins Patricia and Sharon), and other issues that do come up often with my friends and family, do expect INNewsCenter to have a “INNewsCenter team” that will run the web site similar to “Nightline”‘s format since 2005 after Ted Koppel retired with all posts final by yours truly. The fourth thing that will be different from the original INNewsCenter and the revival is going to be a new, yet likely going to be a YouTube copyright issue at the end of the day. In 2008, months before the WISH-TV/Bright House dispute, I was notified as the administrator of INNewsCenter since LIN TV of Providence contacted me about using INNewsCenter’s graphical element (such as high definition pillars on clips used for 4:3 videos in 480 i as INNewsCenter will still be presenting clips in high definition when the original version upgraded to high definition/widescreen in 2007) and recently on the INNewsCenter YouTube channel asked to take down clips from WIPB-TV in Muncie, which is a bloody shame. That lead me to consider a new feature, mostly for the station owner’s interests and copyright claims — The INNewsCenter Safe Haven Policy, which allows yours truly at the station owner’s request in the event the clips be taken down from INNewsCenter’s YouTube channel and as the administrator of INNewsCenter, offer the station owner (like LIN TV of Providence or Scripps) the use of INNewsCenter’s clip(s) be uploaded to the station’s YouTube Channel (such as WISH-TV or WRTV) to be presented it was seen on the station involved. A clear example of this is from WTWO-TV in Terre Haute (watch below). BTW, since INNewsCenter is owned and operated by Ava Zinn, the civil policies are subject to the 2-5-10-BANNED Rule, that went into effect July 4, 2014. Should a station owner request a station’s material be taken down on YouTube due to copyright, that’s an automatic 20 year BANNED/BANNED as long as the station remains on the air. Another example is after Josh Kaufman won The Voice of America 6, INNewsCenter will not be uploading anything from WTHR from July 4, 2014 until January 4, 2016 under my discretion and this applies to Vote for the Girls USA. And last but not least, the fifth and final thing that will be different on the INNewsCenter revival is that five significantly viewed markets of Peoria/Bloomington (viewed in Terre Haute); Grand Rapids (viewed in South Bend/Elkhart); Toledo and Detroit (viewed in Fort Wayne); and Lexington KY (viewed in Louisville and Cincinnati OH) are being added to the ten markets that INNewsCenter covered during the original 1999-2011 run. When the site launched, INNewsCenter only covered Fort Wayne and Indianapolis, and in 2004 added the eight other Indiana television markets of South Bend, Evansville, Terre Haute, Lafayette, Gary (Chicago, IL), New Albany (Louisville, KY), Richmond (Dayton, OH), and Rising Sun (Cincinnati, OH). Pretty much things will be the same on INNewsCenter when I shut the site down on June 30, 2011 and closing INNewsCenter was the biggest regret I’ve ever made. 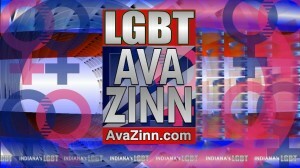 When I relaunch the INNewsCenter site on November 1, 2014 (coincidentally 15 years to the day I started the site as a junior at Mississinewa High School), it will be located at avazinn.com/innewscenter and look forward to the site having its own URL as before because INNewsCenter.net has since been taken by another owner.